Zika virus disease is caused by a virus transmitted by Aedes mosquitoes, same family of mosquito causing dengue, chikungunya and yellow fever. Usually, Aedes mosquitoes bite during the morning, late afternoon and evenings and they can survive both indoor and outdoor environments.Those infected usually experience mild fever, skin rash (exanthema) and conjunctivitis that can last somewhere between 2 days and a week. As vaccines and other treatment methods are still under research, the best prevention method is protecting yourselfagainst mosquito bites. 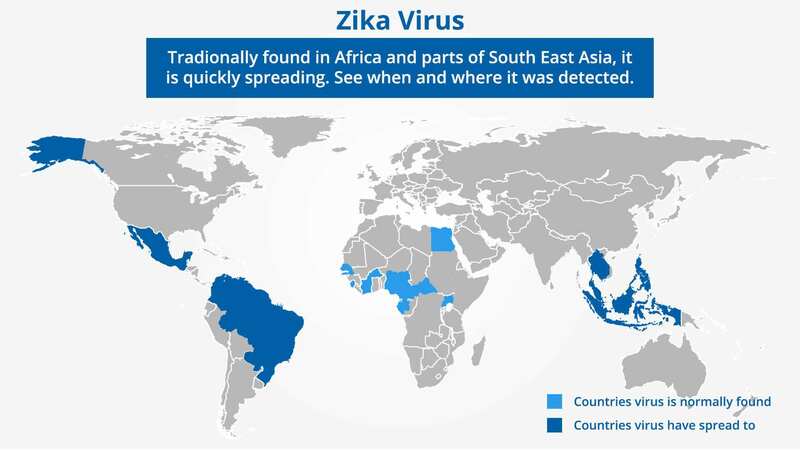 Cases of the presence of the Zika virus has been recorded in tropical regions of Africa, North and South America, Asia and the Pacific. Due to the outbreak of the zika virus, Centers for disease control and prevention (CDC) has recommended guidelines regarding people travelling to an area with Zika virus.Especially pregnant women have to be extra careful as Zika virus disease is linked to an alarming increase in the rate of the birth defect known as microcephaly. Microcephaly is a neurological condition where a newborn’s head size is significantly smaller than the average size for infants of the same age. This can lead to various complications and developmental delays in movement and speech. Therefore, these guidelines areespecially for pregnant women, who is travelling to an area under travel alert zone. It recommends screening, testing and management of pregnant women travellers. Patients with Zika Virus Disease should get plenty of fluids, rest and treat pain and fever with medication. Pregnant women are advised to consult their physician and avoid traveling to areas where Zika Virus Disease is on high alert.